We’ve joined more than 1,300 other companies around the world to support more than 2,300 environmental organizations through our membership in 1% for the Planet. 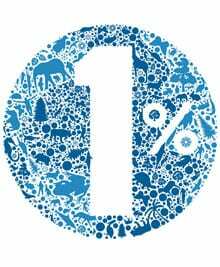 When we looked at our options for donating a portion of our sales to a worthy cause, we knew immediately that the community and purpose of 1% for the Planet fit with our ideals and our vision. We joined an international alliance of companies that understands that profit and loss are directly linked to its health, and are concerned with the social and environmental impact of industry. Save Our Shores is the Central Coast leader in caring for the marine environment through ocean awareness, advocacy and citizen action. Their core initiatives are Plastic Pollution, Clean Boating, and Ocean Awareness. Over the last 30 years, Save Our Shores helped to establish the Monterey Bay National Marine Sanctuary, prevent offshore oil drilling and cruise ship pollution, and today focuses on educating youth about your local watersheds, tackling pollution on your beaches and rivers, advocating for plastic-free communities, implementing our renowned DockWalkerprogram, and providing your community with educated and inspired Sanctuary Stewards. Save Our Shores is a founding member of the Plastic Pollution Coalition, a member of the Clean Seas Coalition, and the founder of the Central Coast Sanctuary Alliance to ban single-use plastic bags around Monterey Bay.